With the OnePlus 2 and Motorola X Style (Pure Edition in the states) flagships being unveiled this week with huge 5.5-inch+ displays, our hope of finding a phone we can easily use with hand now lies in the Nexus 5 (2015). 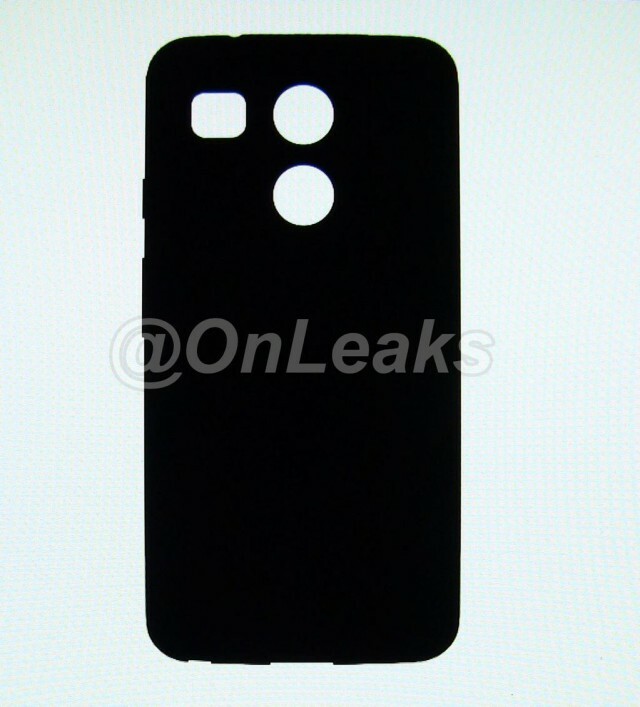 Still only rumor, leaker @Onleaks claims to have posted an extremely early first look at what the back of this LG-made device will offer. Keep in mind this isn’t the actual back, only something a case maker was able to draw up based on early offer. Nothing out of the ordinary here aside from 3 holes. While we’re not entirely sure, it seems one could be for the camera lens, while the one below it is for some kind of fingerprint scanner. That one on the side? Likely flash and some other sensor (last focus or something along those lines). Other than that, we kind get a rough picture of the form factor. Very rounded, almost the exact opposite of a Sony Xperia device. Other than that — that’s it. Again, this is rather rough and not much to go on, but given @Onleaks’ track record whenever he posts something, we listen.